If you have a musculoskeletal injury or symptoms that limit your ability to move, your doctor or care provider may refer you to physical therapy. 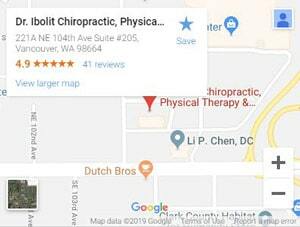 Others seek therapy themselves, Washington is a Direct Access State, a Physical Therapist can be seen without a doctor’s referral (check with your insurance carrier). Physical therapy can be a standalone treatment option, or it may be in support of other treatments like Chiropractic care and Massage. Shawn Fife completed his doctoral education at Eastern Washington University in Cheney, Washington. 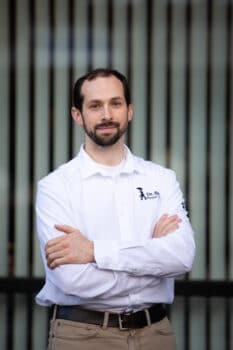 Shawn treats a wide variety of orthopedic and neurologic conditions. He uses a hands-on approach and individualizes his care with each patient. He has many years of experience working with patients injured at work and involved in motor vehicle accidents. Shawn’s interest in physical therapy began rehabilitating his own injuries as an athlete. He continues to lead an active lifestyle running, swimming, and cycling with is family. He enjoys endurance sports. He has competed locally and regionally in triathlon and cyclocross. Let us help with these things and so much more. Go beyond recovery and schedule an appointment with Dr. Ibolit Chiropractic, Physical Therapy & Massage today, so that you can move better, feel better, and live better.